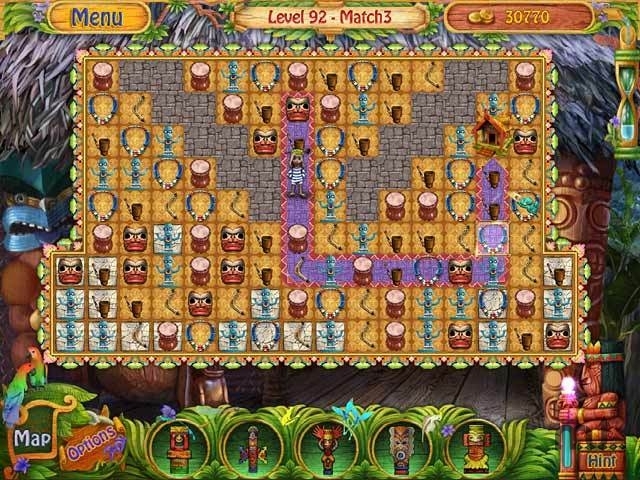 Match-3 and hidden object levels. Is there a better alternative to Robin's Island Adventure? Is Robin's Island Adventure really the best app in Puzzle category? Will Robin's Island Adventure work good on macOS 10.13.4? Robin's Island Adventure…Escape from a deserted island in this fun and exciting Hidden Object game! Survive in the dangerous jungle and make it home in Robin's Island Adventure. Complete a series of Match 3 and Hidden Object levels as you build shelter, find food, and work with the inhabitants of the island. Can you build a boat sturdy enough for you to make it back to civilization? Robin's Island Adventure needs a review. Be the first to review this app and get the discussion started! Robin's Island Adventure needs a rating. Be the first to rate this app and get the discussion started!